Mary, manatees and more in Eleuthera ! 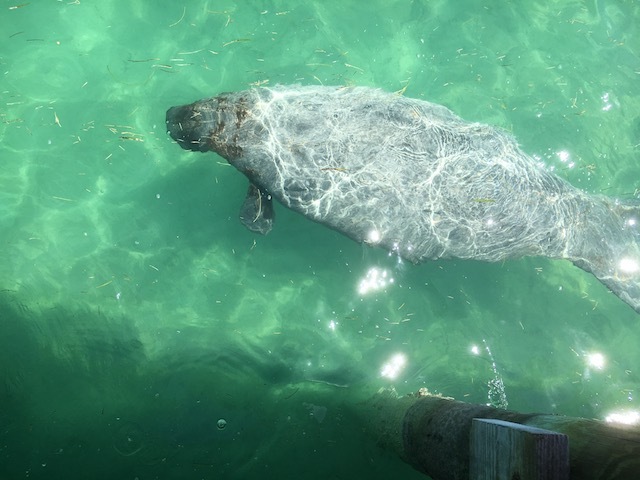 This week I will bring you up to date with my Mum – Mary – tell you about the sighting of a manatee and a little bit more as well ! As I mentioned last week I went with Mum to Nassau for her to have an operation at Doctor’s Hospital. We were in Nassau for 6 days – out of which she spent two and half days in hospital. Everything went well, there were a couple of minor hiccups – but generally it was a very positive experience. The staff at the hospital were exceptional – so kind and thoughtful… If you ever should find yourself in need then I would have no hesitation in recommending this place. We arrived back home in Eleuthera on Saturday afternoon and it is true – there’s no place like home ! 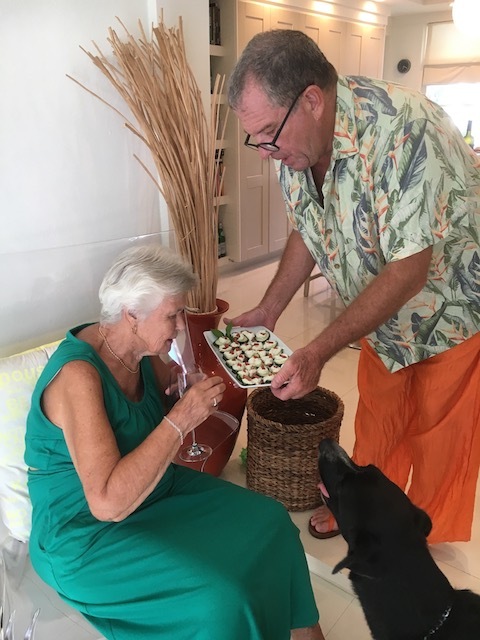 There was just enough recuperation time for Mum to then enjoy a beautifully cooked meal as one of her birthday presents kindly given to her by Dan and Larry from Cupid’s Cay. 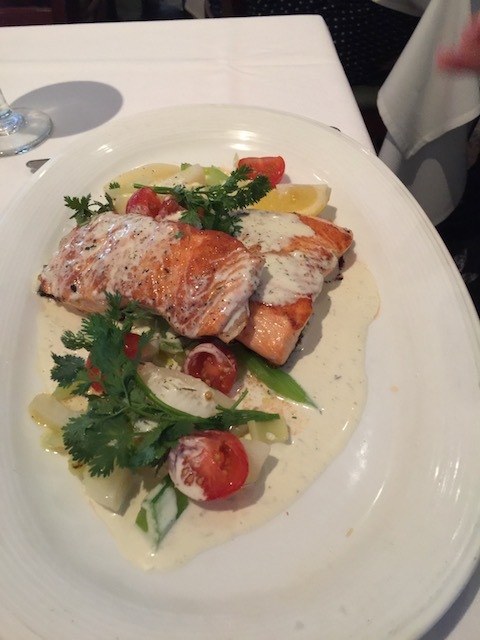 When it was her birthday in February many people asked me what they could give her – and one of my suggestions was a meal at sometime throughout the year. 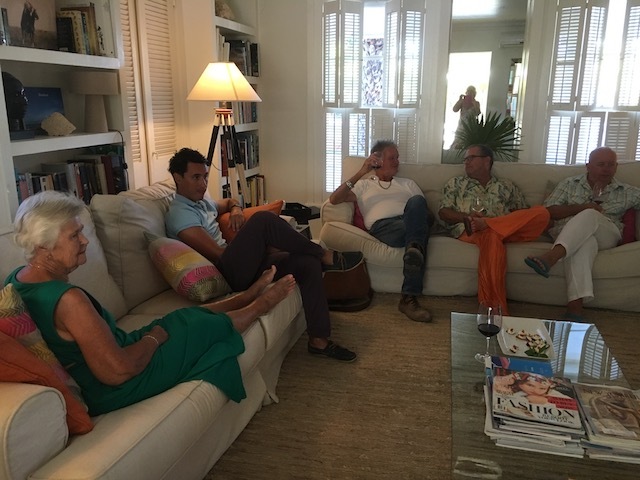 This party – with my sister Jane, nephew Sam and his girlfriend Katy was one such generous gift. 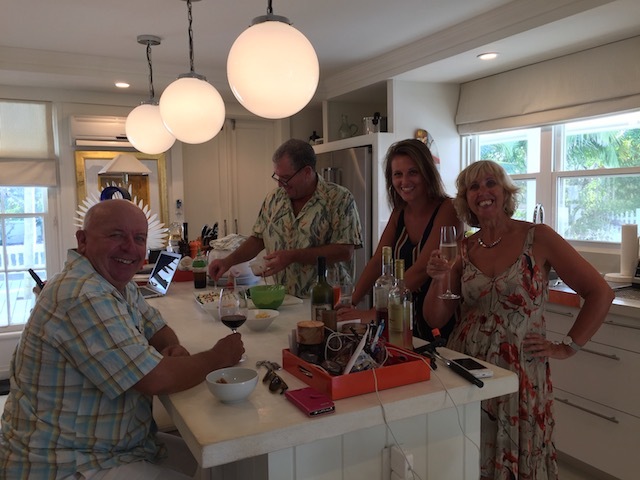 From left to right – Larry, and Dan the star chefs, Katy and my sister Jane….. It was a great evening and of course way too much food was enjoyed – but there were plenty of leftovers for Mary to savor for a couple of more meals…..
Uuuummmm, don’t mind if I do ! BIG thanks to Dan and Larry for their kind and generous gift and a lovely evening…….. 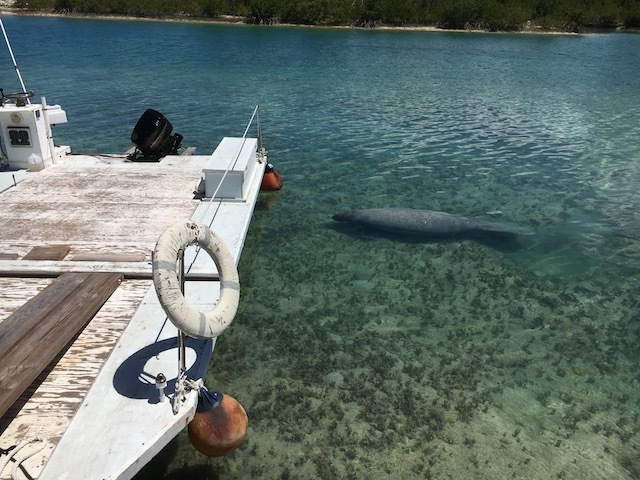 Being away for a week in Nassau meant that there was a lot to catch up on so sadly I missed taking a trip to Spanish Wells with Jane, Sam and Katy – and it was here that they saw the manatee ! 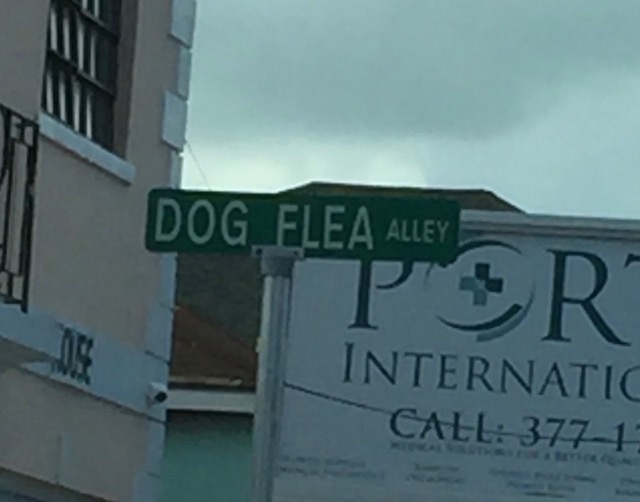 All those times I have been there there and never saw a single one ! I had heard that there are a couple up there so it was not such a surprise – and huge thanks to Jane for the great photos she took and then shared with me. It is interesting to read about manatees generally but even more so when it is a creature that you can possibly spot on your travels over here……. It’s in the details! Like your image in the mirror as you take a shot of everyone relaxing casually – mom with feet up. I love it! And Rudge: behaving while Dan offers a tray of goodies to Mary – that’s progress! Please my regards to Dan & Larry. Let’s hope more manatees migrate from polluted Florida waters to Eleuthera! Yes – you are right ! Thanks…..